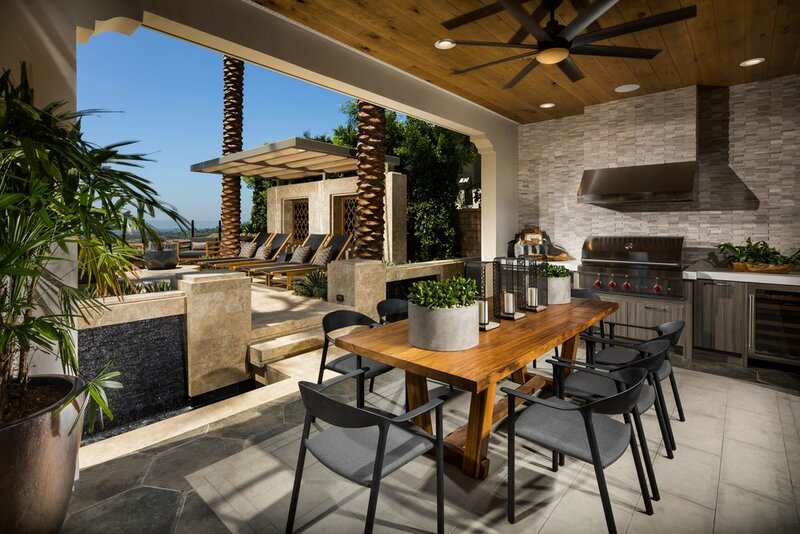 High among OC’s foothills, Alta Vista represents the top of the luxury production market, with floor plans ranging from 5,600-7,200 s.f. 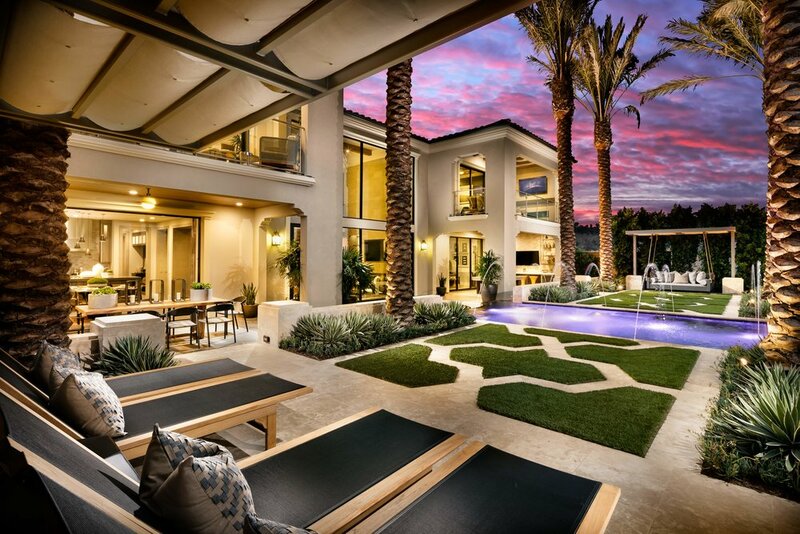 Unique garden scenarios with sweeping views showcase the models’ entertainment potential. 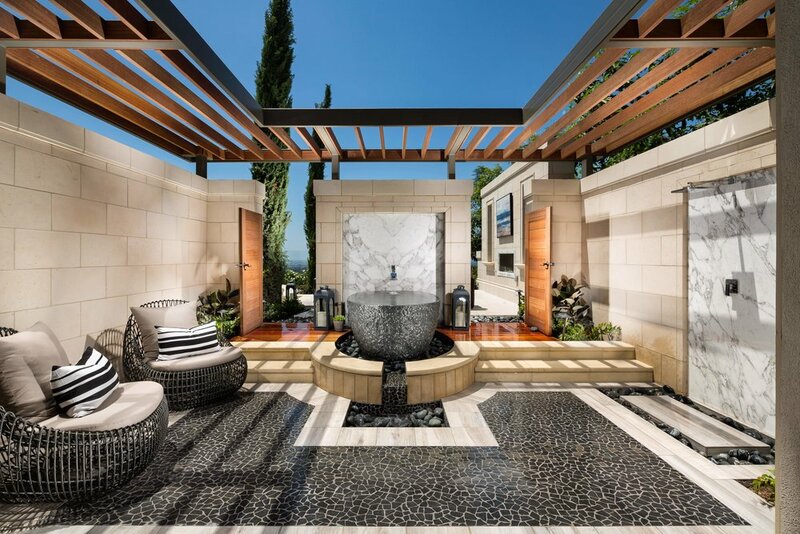 A modern Napa Valley artist’s retreat is evoked by the garden of the Savona, echoed in the artwork and a sculptor’s garden studio. The Lucido offers a dramatic oval-shaped pool, flanked by formal dining and intimate lounging spaces. 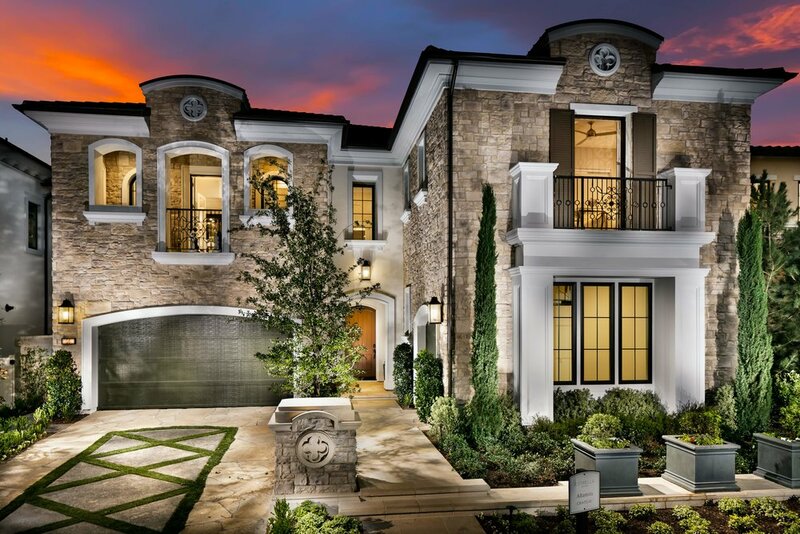 The Oceano’s vision is a modern take on a formal Spanish estate with distinct Andalusian and Moroccan influences.